This month a University of New Mexico (UNM) insider shared an email with us from Paul Roth, Executive Vice President and CEO of UNM Health System that sheds light on his apparent deplorable management of the UNM Health System. This leak came days after a video recording of Paul Roth admitting to UNM faculty dissecting aborted baby brains during a summer youth workshop that was captured by a local pro-life advocate. This video has sent shockwaves through the pro-life community and has even penetrated the hearts of average Americans because of the callous disregard Roth displays on the video. The UNM whistleblower revealed Paul Roth’s desperate attempt to do damage control when he sent an email to Health System Leaders summarizing extremely low rankings the hospital has been given. 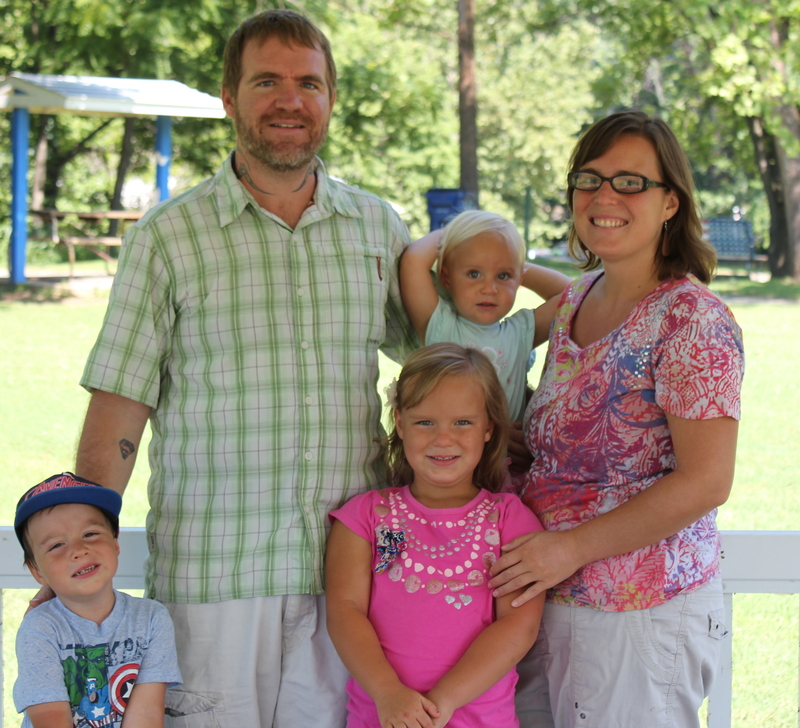 God continues to work in our midst, to show that UNM as a whole is so deeply entrenched in the culture of death. Like Planned Parenthood and every other entity killing babies, they have no redeeming quality until they stop the shedding of innocent blood. Thank you for your prayers and encouragement as we move forward everyday out of obedience to God and a love for our neighbors born and pre-born. A second confidential informant came forward this month with information about a 27 year old woman who suffered an incomplete abortion at the University of New Mexico Center for Reproductive Health (UNMCRH) abortion facility. The next day this woman was admitted to UNM Hospital with an elevated white blood cell count, rapid heart beat, fever and abdominal pain. According to the Mayo Clinic’s website, Patient “A” exhibited symptoms that warrant a sepsis diagnosis. Despite the fact that this patient had a compromised immune system UNMCRH placed performing the abortion above Patient A’s overall health and well being. The abortion was completed, an IUD was inserted and the patient was sent on her way. She inevitably ended up in the hospital where she spent 5 days and required a D&C to remove what was left inside of her, her baby’s remains. 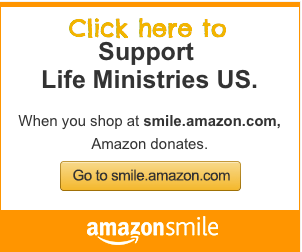 Planned Parenthood thrives off of their generous supporters, we thrive off of your prayers and faithful support! Planned Parenthood has purchased a billboard that is strategically placed right before the overpass where we protest each week. This location is also in the vicinity of two strip clubs.The fact that they have made this purchase between $5,000-$15,000 is nothing less than confirmation that our overpass protest presence is effective and that they are desperate. Their sterile looking billboard seen above shows their desperation, but what are they desperate for? They claim to be a legitimate healthcare provider yet they are not seeking clients with a list of services they provide, nor are they focusing on reaching the women that they claim so desperately need and want to kill their babies. Instead they are asking for your money. Pro-life billboards aim to educate about human life and offer assistance to pregnant women, our movement is truly concerned for people, not a profit. In contrast, Planned Parenthood is more concerned about lining their own pockets than they are about helping and truly caring for women. Please join us in praying that those driving by see the truth about where Planned Parenthood stands and what their priority is. 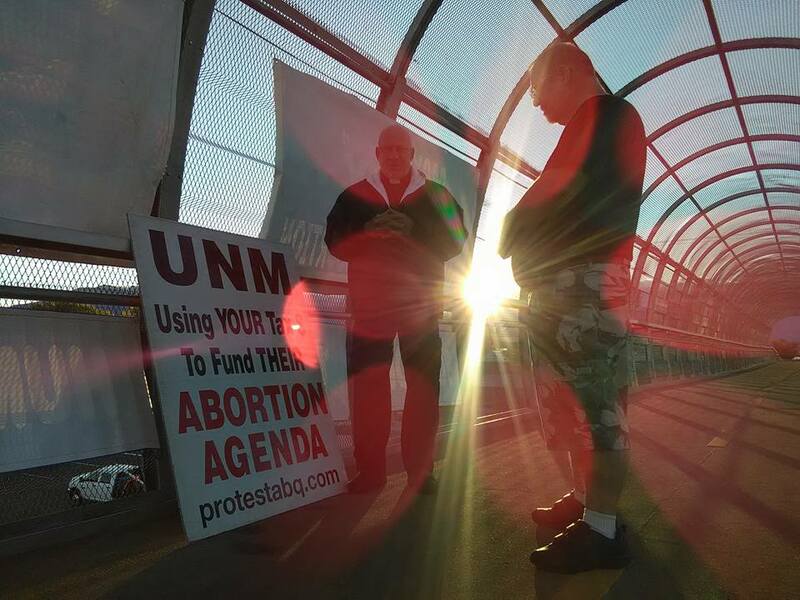 The abortion industry uses lies and deceptive rhetoric…Protest ABQ exposes their lies with the light of the truth. By Tara ShaverAlbuquerque, NM- For two years Protest ABQ has held weekly overpass protests in Albuquerque. 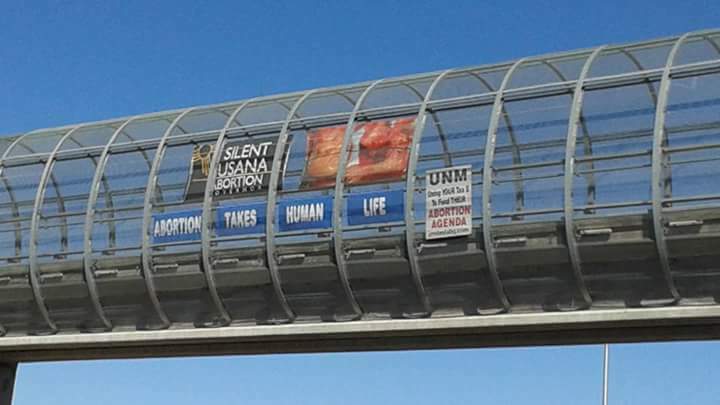 Our 4×8 feet banners, which are positioned above Interstate 25, have educated thousands of people about our silent state leaders on abortion, New Mexico Governor Susana Martinez and Albuquerque Mayor Richard Berry who likewise ignores abortion in his city, the tax payer funded University of New Mexico and Planned Parenthood‘s abortion businesses. Those who may not have ever considered what abortion is have come face to face with it’s brutality and many have thanked us for our presence. This week, however, we have encountered a new measure of success with this effort. Planned Parenthood has purchased a billboard that is strategically placed right before the overpass where we protest each week. This location is also in the vicinity of two strip clubs. 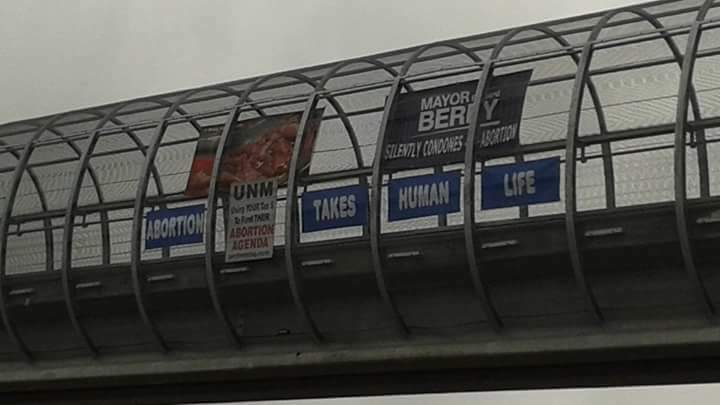 The nature of PP’s billboard is interesting which I will address but the fact that they have made this purchase between $5,000-$15,000 is nothing less than confirmation that our overpass protest presence is effective and that they are desperate. Their sterile looking billboard seen above shows their desperation, but for what? They claim to be a legitimate healthcare provider yet they are not seeking clients with a list of services they provide, nor are they focusing on the women that they claim so desperately need and want to kill their babies. Instead they are asking for your money. Does Planned Parenthood Really Need Your Financial Donations? Planned Parenthood is a “non-profit” that brings in over a billion dollars in profit each year and then gets money from the government as well, compliments of you and I, the taxpayer. We are ALL about Prayer. Pro-life billboards aim to educate about human life and offer assistance to pregnant women, our movement is truly concerned for people, not a profit. In contrast, Planned Parenthood is more concerned about lining their own pockets than they are about helping and truly caring for women. 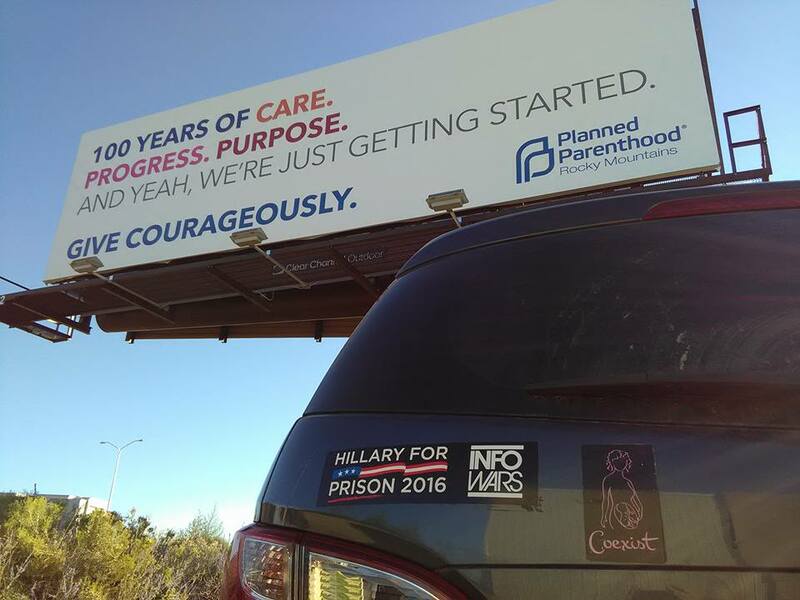 Let’s pray that those driving by see the truth about where Planned Parenthood stands and what their priority is. But we will not be deterred in our peaceful free-speech activities! This is about life and death. Albuquerque, NM- A University of New Mexico (UNM) insider has shared an email with Protest ABQ from Paul Roth, Executive Vice President and Chancellor for Health Sciences, CEO, UNM Health System and Dean, School of Medicine, that sheds light on his apparent deplorable management of the UNM Health System. 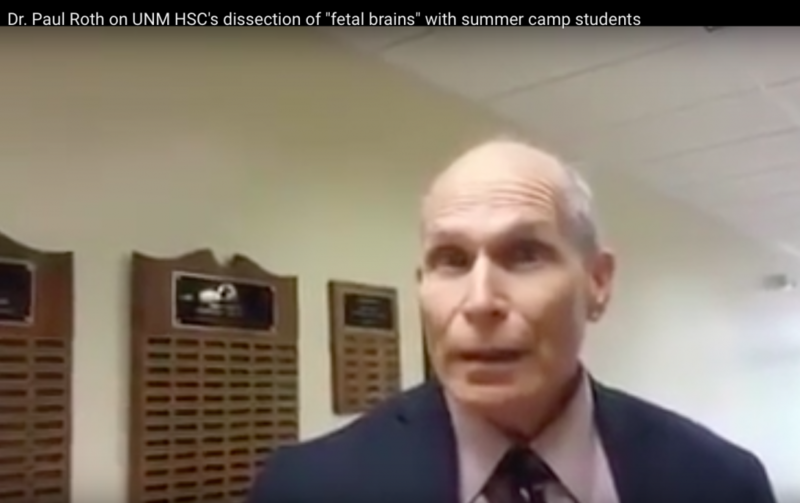 This leak comes days after a video recording of Paul Roth admitting that aborted baby brains were dissected during a summer youth workshop hosted by UNM that was captured by local pro-life advocate Marcie May. This video has sent shockwaves through the pro-life community and has even penetrated the hearts of average Americans because of the callous disregard Roth displays on the video. The company that UNM paid millions to is called the Studer Group, which works with organizations to “achieve and sustain exceptional improvement in clinical outcomes and financial results,” to come and assist UNMH in turning things around. Documents regarding Mission: Excellence and the Studer Group have been removed from UNM’s search portal. From The Daily Wire: “Can I ask you to repeat what you said before about the workshop with UNM fetal remains with high school students?” May asks Roth. “Yes, we had a faculty member who obtained some tissue, and during one of these summer workshops, uh, dissected I think one or two fetal brains,” answered Roth, unapologetically. The dean did not disclose where the fetal remains were originally sourced. He also failed to show a glimmer of remorse. Roth is clearly not doing a very good job of running UNM Hospital and as 2nd in command of the entire health system he has been given a pass for far too long. “Paul Roth receives a salary of $656,500 paid for by New Mexico taxpayers. How is it that he maintains his position of CEO at UNM when both insiders and those outside looking in can see the problems as well as the atrocities he has brought upon UNM during his tenure? Could it be politically motivated that New Mexico legislators cover for him and support him despite the mounting evidence of his diabolical and deplorable leadership?” stated Bud Shaver, Executive Director of Protest ABQ.